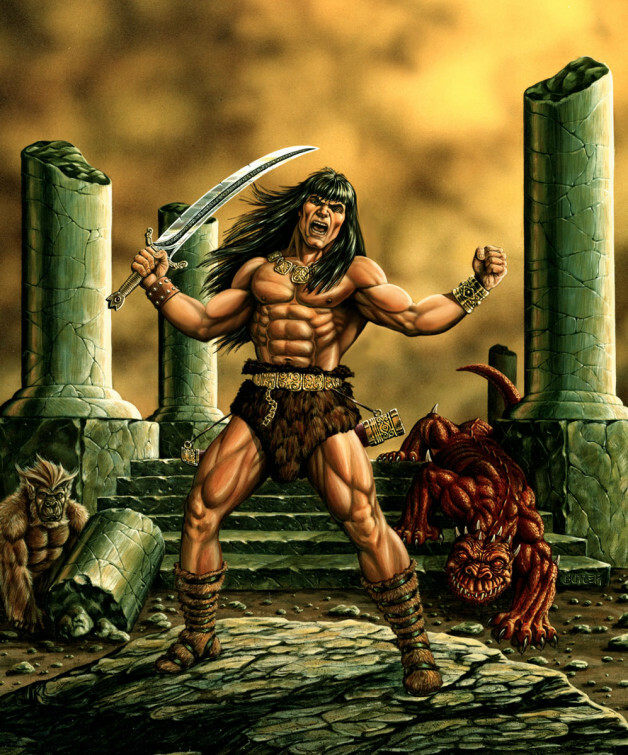 Conan RPG Game Box Art TSR, Inc.
Hmm… This is a little like showing your baby pictures. Conan was the first painting I did at TSR… and I wasn’t quite ready for prime time, yet. I was just confident enough to know I could do something, but still very insecure, when comparing my work to the amazing stuff being painted by my studio mates. Oh well, you gotta’ start somewhere!